Contact lenses are a convenient solution for vision correction. They let your eyes pop and don't hide a woman's eye makeup. You don't have to worry about glare or your contacts not matching your outfit. However, if you have certain eye problems, scleral lenses provided by an Ashburn, VA optometrist from OptimEYES are better suited for you than a standard pair of contacts. A standard pair of lenses is 18 mm, but the average cornea is 11.8. However, a traditional gas permeable lens is between 9.0 to 9.5 mm in diameter, so it only covers about 75 percent of the cornea. These lens options aren't suitable for people who have issues with their corneas. Scleral lenses, however, can alleviate this option because they're contacts that cover a larger portion of your eyes to reduce the discomfort that standard contacts can cause your corneas. Generally, if you have a milder form of keratoconus or irregular astigmatism as a result of refractive surgery or corneal grafts, you can use a smaller scleral lens. However, if you have a more serious condition, our optometrist will fit you for a larger scleral lens. 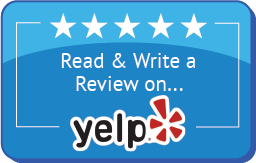 Our optometrist will discuss any issues you have like dry eye or if you've had LASIK eye surgery. We'll also ask about any other issues that you have that could make it more beneficial for you to wear scleral lenses rather than standard lenses. 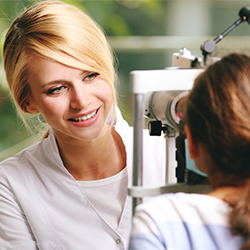 In order to receive a prescription for scleral lenses, you'll need to undergo a comprehensive eye exam. One portion of your eye exam consists of our eye doctor asking you to look into a lens, and you have to read the line you can see the clearest. Based on the results, we determine the strength of your prescription. We'll also ask you to look into another pair of lenses that have two different images, and you have to decide which one is clearer. This helps us determine if you have astigmatism and the degree of it. The next portion of the exam is a contact lens exam that measures your eyes for the lenses. We get all the dimensions. Next, we fit you with a pair of contacts that fit over the appropriate amount of your corneas based on the severity of your eye condition. We use a process known as computerized mapping to determine the size. We may need to try several different sizes of scleral lenses before we find the one best suited for you. Schedule an appointment to receive a comprehensive eye exam -- and possibly scleral lenses -- by contacting OptimEYES, serving Ashburn, VA, and the surrounding area, at 703-687-4719.